Thom is a long-time fellow traveler and now both a Facebook friend and Prozac Monologues reader. He regularly posts on Facebook the latest segment of the ABCs of Spiritual Literacy. Last week's entry was on Shadow. Well, that hits me where I live. My thanks to Thom for leading me to this post. The spiritual practice of shadow encourages us to make peace with those parts of ourselves that we find to be despicable, unworthy, and embarrassing — our anger, jealousy, pride, selfishness, violence, and other "evil deeds." Kinda reminds ya of a therapy session, doesn't it? In the deeps are the violence and terror of which psychology has warned us. But if you ride these monsters down, if you drop with them farther over the world’s rim, you find what our sciences can not locate or name, the substrate, the ocean or matrix or ether which buoys the rest, which gives goodness its power for good, and evil its power for evil, the unified field: our complex and inexplicable caring for each other, and for our life together here. This is given. It is not learned. Palmer continues: Why must we go in and down? Because as we do so, we will meet the darkness that we carry within ourselves—the ultimate source of the shadows that we project onto other people. If we do not understand that the enemy is within, we will find a thousand ways of making someone “out there” into the enemy, becoming leaders who oppress rather than liberate others. In his chapter on Leading From Within, Palmer writes of what makes people leaders, five virtues or strengths of leaders, and the shadows associated with each of these forms of light. This is how I encountered Palmer, when I was creating a formation process for spiritual leaders in congregations. We examined five virtues, things we all wished/hoped we brought to our leadership, their shadows and what we might find if we ride the monster down. The first shadow-casting monster is insecurity about identity and worth. This monster is hidden by an extroverted or outgoing personality that hides its insecurity by creating settings where others are in the disadvantaged or less powerful position. If we ride the monster down, we find that we are loved and valued simply because we are children of God. We do not need to make others feel less so that we can feel worthy. Well, let me pause right here and notice my own projection. I can name half a dozen people to whom this applies, without pausing for breath. It is harder to stay with it long enough to find this shadow in me. I invite you, as I name the other shadows, to take the step deeper, to look within rather than without. 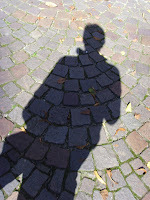 A second shadow inside many of us is the belief that the universe is a battleground, hostile to human interests. The strong competitor turns others into enemies that weren't there before the competitor's fear of losing created them. Palmer asserts that death and loss are part of a circle of life, that harmony is the deeper reality, and that this spiritual truth could transform our lives and our institutions. A third shadow common among leaders is “functional atheism,” the belief that ultimate responsibility for everything rests with us. Those who take on the responsibility for making every good thing happen ourselves often end up with burnout, depression, and despair, when we learn that the world will not bend to our will and we become embittered about that fact. When the load becomes so heavy that we have to drop it, then we can receive the gift of community, in which we trust that each will give and each receive. Palmer's fourth shadow within and among us is fear of the natural chaos of life. Those who are organized can become rigid, imprisoning the organizations we lead, rather than liberating them. Following the monster down, we learn that chaos is the precondition to creativity: as every creation myth has it, life itself emerged from the void. Even that which has been created needs to be returned to chaos from time to time so it can be regenerated in more vital form. The last shadow is the fear of failure or death itself that keeps the successful leader from letting go. The best leaders in every setting reward people for taking worthwhile risks even if they are likely to fail. These leaders know that the death of an initiative—if it was tested for good reasons—is always a source of new learning. The monster takes us down to the place where we can learn that death does not have the final word. It is the source from which new life can spring. So many of these shadows participate in depression. Before we get to Annie Dillard's matrix... which buoys the rest, the monster takes us through the darkness that depressives know too well. Here we touch a question both quietly pondered and hotly debated. Is there anything good about depression? Palmer's point seems to be that going through the darkness is how we get to the light. His personal story is one of finding his true vocation after depression deprived him of what he thought he should be doing. Depression, like pain, can be good, if it is used for what it is good for -- telling us that something is wrong -- that we are hiding our insecurities at the expense of others, that our combative attitudes deprive us of peace, that we have false expectations of ourselves and others, that excessive control has stifled our creativity, that our fear of death is preventing us from being born again. I have a friend who responds to this question with anger -- there is nothing romantic about this terrible disease that destroys minds and sometimes those who suffer from it. It is time to distinguish between depression and Depression, one the feeling common to all thinking and feeling people, the other an out of control extreme that is caused by and causes further brain damage. The Shadow is not the latter. It is part of the human experience. Everybody benefits by becoming mindful of its place in their lives. While the disease is overrepresented among artists, perhaps every true artist rides the same monster down to find the truth expressed in his/her art. 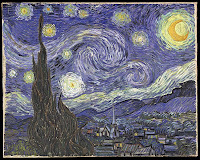 I wonder, how often does the disease interfere with artists' creativity? According to Ernest Hemingway who was there, when T.S. Eliot and F. Scott Fitzgerald were being wrestled to the ground by their personal demons, they were not writing. I was going to say, "putting to one side the works that were not created because their creators were dead..." But I can't say that. We can't put suicide to one side. That is the romantic garbage of which my friend speaks. It calculates the value of artists for what they give us, their utilitarian purpose, not for their own sacred selves. In my own experience -- my books lie unfinished, out of reach of this brain that the Grim has gone through with a paper punch for the last five years. It takes me a week's effort to write a blog post, two sentences at a time. The Shadow is something else. It calls me to my self. It shows me that I am of value, even with a brain that has holes in it, even if I have to lay down my work in formation of spiritual leaders, even if my books remain unpublished. It brings me to the place where I am held in the hands of a tender God. Even if I am still fighting it all the way down.